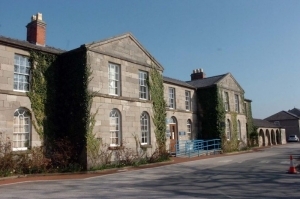 Stanley Hospital in St Asaph was closed and sold by the local health board in 2012. UCML were asked to coordinate the site’s new connections for a client who secured planning permission. The development will consist of 83 dwellings on completion, built as a mix of brand-new homes as well as luxury apartments converted from the former hospital building. UCML procured the utility connections of electricity, gas, water and telecoms to the site and also coordinated external streetlighting for the new on-site roads.On investigation, UCML found private sub-stations left on site which previously belonged to the former hospital. UCML configured the removal of the sub-stations and arranged for the site to be fed via a statutory network instead. In doing this, it was ensured that the land owner didn’t have to maintain the network at their own cost. UCML could then go out competitively and attain asset value (a figure showing the total value of the assets of a company or organization) for the client, overall saving considerable costs for the client. Costs were also saved as part of a contestable element of an electricity diversion. UCML also coordinated the diversion of telecom apparatus left from the previous hospital which contained a complex network of both copper and fibre cables, finishing all utility work in line with the development’s agreed timescales.